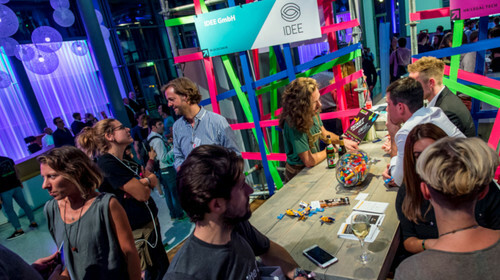 Startupnight 2019 is the only night you need! If there's only going to be one night to remember this year then this is it! Successful startups are driven by making connections with potential customers and potential investors. We'll make sure you connect with exactly who you're looking for. Startupnight knows startups. We know you've had enough of endless pitch sessions and talks that only lead to a stack of business cards of the wrong people. We work tirelessly to find carefully curated startup partners, VCs and corporates that are truly interested in your focus area, passionate about cutting-edge technologies and want to connect with you. Whether it's product exhibition or professional matchmaking, we make sure there's a great fit for every single startup. Apply here now for your place at Startupnight September 6th 2019. All you need to do is answer a few quick questions to help us get to know you and work out if you're the best fit for our wide group of partners and investors. On June 9th our expert jury will make their selection of startups to earn a place and we'll guarantee to let you know by July 8th at the latest. If you're chosen, you'll get a free stand, 3 exhibitor tickets and full access to our incredible network and all parts of the Startupnight. To help us apply the finishing touches to the event we'll ask you for a deposit of 250€ which will be refunded in full if you attend or cancel in time. Cancellations after July 29 will receive a 50% refund - after August 19, the cancellation fee will be 100%. Energy and telecoms networks are going to become more digital and decentralized. In order to enable trends such as autonomous vehicles and P2P trading, smart networks will need become the backbone of our society. Massive broadband connectivity, ultra low latency and intelligent energy measurement will be key components of future services. Within this scope, you might be working with 5G or Edge Computing technologies. Or perhaps your technology leverages boundless connectivity to create incredible customer experience in areas like AR/VR, connected objects (cars, robots, drones), or extreme low-latency media streaming. In the future everything will be connected - cities, factories, households, and individuals. We call this BIG IoT. Are you working on automatic identification and data capture, innovating with smart narrowband technologies or revolutionising with eSIM and other cutting edge functionalities? Perhaps your technology is able to transform consumers' lives through tracking/tracing, efficient manufacturing and logistics, smart city/building enablers, smart home appliances and other solutions all running on connected devices. Massive inputs of data and ubiquitous connectivity provide new possibilities to collect and analyze data for better decision making and automation. We envisage many opportunities covering areas like smart (real-time) data analytics, predictive maintenance, cyber security, machine learning applications, FinTech, robotics and energy intelligence. Future solutions are digital, decentralized and decarbonized. Future Mobility is the key for tomorrow’s society and provides the opportunity to make the world a better place. Are you working on technological developments in autonomous vehicles, electric powertrain or shared mobility? Or is your expertise related to energy storage & efficiency, charging infrastructure and sustainable materials? Future Mobility will be autonomous, eco-friendly and fun. At Startupnight we're always looking beyond. So if you're involved with disruptive technologies in uncharted territories we want to hear from you. Whether you're working on quantum computing, neuroscience, blockchain, human machine interfaces or something that doesn't even have a name yet ... show us your idea to transform the telco, finance, energy and mobility industries. Show your product to thousands of visitors! 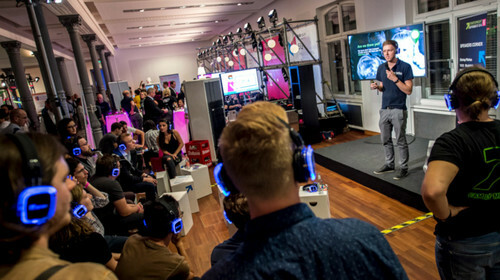 Startupnight is one of the most renowned startup events in Europe. Not only investors and corporates, but also thousands of visitors come to this event every year. Our jury will select the most promising 200 startups to receive free startup tickets, an exhibitor stand worth 1500€ and access to our network of corporates and investors. Meet corporates and investors in exclusive sessions! In the Pitch & Pitchers Session, on September 5th, startups will pitch their product in an exclusive setting in front of all investors and then enjoy a cold beer, 1:1 discussions and networking. In the Speeddating sessions, start-ups will meet our corporates and investors in exclusive 1:1 sessions, all based on a matchmaking process which helps us make the most relevant contacts possible. On the topic-specific pitching stages, start-ups can present their products to interested customers, partners or investors. Get feedback and win fantastic prizes! We have sponsored trips on offer to some of the world’s top startup hotspots from the Start Alliance and Go Jerusalem as well as the famous Startup Choice Award supported by the IBB. Cem is the founder of Startupnight. 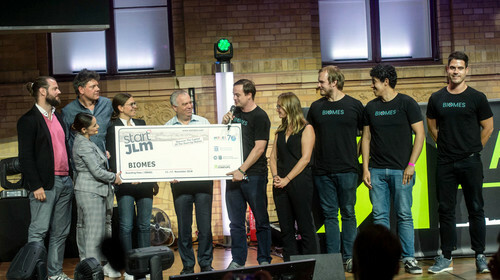 One of the largest and most intense startup events of Europe. In his other life he is Head of Digital Open Space at Deutsche Telekom AG. 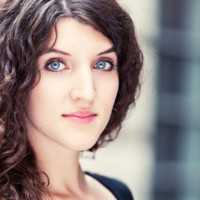 Vaiva is a communications person. Coming from the area of journalism, she works for E.ON :agile accelerator and will judge your startup from the communications perspective. Since 2011, Raphael is consultant at the customer service department at IBB, the business development bank of the Federal Land of Berlin. For round about 2 years he focusses himself on the cluster ICT/ Media/ Creative Industries. During that time he has evaluated lots of different innovative business models and talked to plenty of startups about their concepts. At IBB he is the first contact person in questions about subsidy programs and financing options for startups and IT-based companies. Since 2008, Dirk is a project manager for the largest german initiative for startups, Business Plan Competition Berlin-Brandenburg. With this initiative, Investitionsbank Berlin offers a professional way to create your business plan step by step for all startups in each cluster. She’s the one whom startups applying for :agile accelerator need to impress first: Maria Freitag reviews applications for submission to the program and decides who goes on the short list. She loves that her work at :agile connects her with so many inspiring ideas and teams. She likes to challenge existing concepts and work towards a new startup and energy future. As Vice President for Scouting and Co-Investments, Dr. Philipp Ulbrich heads E.ON’s co-investment team, focusing on minority shareholdings in mature start-ups to bring innovation to E.ON. In addition, he acts as Managing Director :agile accelerator, E.ON’s accelerator and seed financing vehicle. The two teams have offices in Berlin, Essen, Düsseldorf and San Francisco. Carl-Philipp works for Berlin Partner, the official economic development agency for the city of Berlin. There, he works on keeping Berlin a great place for startups from all around the world. He implements city strategies for a healthy entrepreneurial environment and helps setting up new strategies to grow Berlin as Europe’s most important startup hub. He also co-founded the Start Alliance, a global city network helping startups from all over the world with fast market entry. Startupnight offers their startups more benefits than ever before. Startups can apply for participation and attend associated challenges!